There are other issues with roof top arrays, the two biggest of which are weight and strong wind protection. A roof requires significant re-enforcement to support the weight of an array and the array needs to be strongly secured against strong winds. But both of these issues are fairly simple engineering problems and very solvable. The key problem with powering datacenters with solar is insufficient solar array power density. If we were to believe the data center lighting manufacturers estimates (Lighting is the Unsung Hero in Data Center Energy Efficiency), a roof top array wouldn’t be able to fully power the facility lighting system. Most modern data centers have moved to more efficient lighting systems but the difficult fact remains: a roof top array will not supply even 1% of the overall facility draw. When last discussing the space requirements of a solar array sufficient to power a datacenter in I love Solar but …, a few folks took exception to my use of sq ft as the measure of solar array size. The legitimate criticism raised was that in using sq ft and then computing that a large datacenter would require 181 million sq ft of solar array, I made the solar farm look unreasonably large. Arguably 4,172 acres is a better unit and produces a much smaller number. All true. The real challenge for most people is in trying to understand the practicality of solar to power datacenters is to get a reasonable feel for how big the land requirements actually would be. They sound big but data centers are big and everything associated with them is big. Large numbers aren’t remarkable. One approach to calibrating the “how big is it?” question is to go with a ratio. Each square foot of data center would require approximately 362 square feet of solar array, is one way to get calibration of the true size requirements. Roughly 100:1 which tells us that roof top solar power is a contributor but not a solution. It also helps explain why solar is not a practical solution in densely packed urban areas especially where multi-floor facilities are in use. This is an impressive deployment with 70MW peak output over 314 acres. That’s roughly 4.5 acres/MW which is fairly consistent with other solar plants I’ve written up in the past. 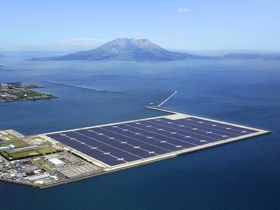 The estimated annual output for Kagoshima is 78,800MWh which is, on average, 9MW output. The reason the expected average output is only 13% of the peak output is solar plants aren’t productive 24×7. Datacenter power consumption tends to be fairly constant day and night. Night being somewhat lower due to typically lower cooling requirements. But with only 10 to 15% of the total power in a modern datacenter going to cooling, the difference between day and night is actually not that large. Where there are big differences in datacenter power consumption is in the power consumption at full utilization vs partial. Idle critical loads can be as low as 50% of full loads so some variability in power consumption will be seen in a datacenter but datacenters are largely classified as base load (near constant) demand. Using these numbers, the Kagoshima solar facility is large enough to power ½ of a large datacenter. 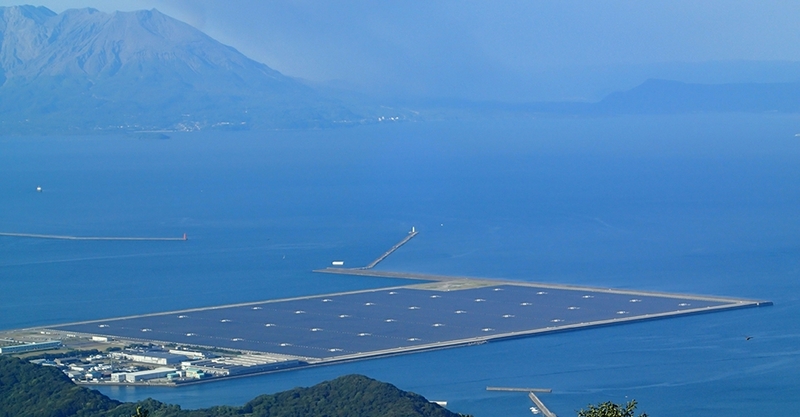 The Kagoshima Nanatsujima Mega Solar Power Plant is a vast plant and anything at scale is interesting. It’s well worth learning more about the engineering behind this project but one aspect that caught my interest is there are some excellent pictures of this deployment that do a better job of scaling that my previous “several million sq ft” reference. The Kagoshima array is 313 acres which is 13.6 million sq ft or 1.27 million sq meters but these numbers aren’t that meaningful to most of us and pictures tell a far better story. No matter how you look at it, the Kagoshima array is truly vast. I’m super interested in all forms of energy production and consider myself fairly familiar with numbers on this scale and yet I still find the size of this plant when shown in its entirety to still be surprising. It really is big. The cost of solar is falling fast due to deep R&D investment but a facility of this scope and scale is still fairly expensive. At US$275 million the solar plant is more expensive than the datacenter it would be able to power. Despite the shortage of land space in Japan, expect to see continued investment in large scale solar arrays for at least another year or two driven by the Feed-in Tariff legislation which requires Japanese power companies to buy all the power produced by any solar plant bigger than 10kW at a generous 20 year fixed rate of 42 yen/kWh which at current exchange rates is US$0.42kWh (Japan Creates Potential $9.6 Billion Solar Boom with FITs and also 1.8GW of New Solar Power for Japan in Q2). As a point of comparison, in the US commercial power, if purchased in large quantities is often available at rates below $0.05/kWh. Yano research institute predicts that the massive Japanese solar boom driven by the FIT legislation will be grow until 2014 and then taper off due to land availability pressure: Japan Market for Large-Scale Solar to Drop After 2014, Yano Says. One possible solution to both the solar space consumption problem and the inability to produce power in poor light conditions are orbital based solar arrays (Japan Aims to Beam Solar Energy Down From Orbit). This technology is nowhere close to a reality today but it is still of interest. For those of you able to attend the AWS re:Invent conference in Vegas, I’ll see you there. I’ll presenting Why Scale Matters and How the Cloud Really is Different Thursday at 4:15 in the Delfino room and I’ll be around the conference all week. That’s a good question on the facilities resistance to possible storm and tsunami damage. I’ve not found any data on the construction techniques used on this facility but, generally, Japanese construction requirements are rigorous. I suspect the bigger worry in a sea-side deployment might be the constant spray and salt accumulation impairing solar production if not kept clean. If you come across any additional details on the facility and and exactly how it’s built, I’m interested. I always learn new things from reading your posts. Thanks for your efforts to educate us on these topics. 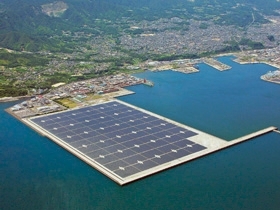 – The solar array appears to be located near shore over water on a platform (floating or on a sea floor foundation?). An interesting way to get greater "land" area for supporting these large solar arrays. – Does normal wave action or normal tidal patterns affect the solar generating outputs / efficiencies? – I’m curious as to the level of risk for water-based hosting of these systems (such as damage or complete destruction in tsunami or earthquake conditions that are present in the waters around Japan). Especially in light of the Fukushima nuclear reactor incident a few years ago from the Japan tsunami – and they were land-based but near enough to the shore to be severely damaged. While the environmental risk of the solar array might be lower (no radiation), I suspect the outage risk might be high. In short, to quote the movie "Marathon Man": "Is it safe?" 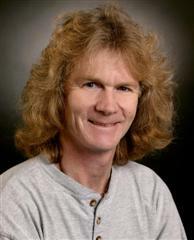 Charles Gibson mentioned in this comment the Japanese FIT (Feed-In Tariff) program. This program requires that utilities buy power from solar arrays of bigger than 10kw for 20 years at $0.42/kWh. It makes for a very favorable regulatory environment for solar power investments. Because of space limitations in Japan, some analysts expect this boom to last into late 2014 but then taper off. But, even in that relatively short time period, Japan is expected to become one of the world’s top solar producers. Expectations and interest in solar energy have heightened to a new level in Japan with the need to resolve power supply issues resulting from the Great East Japan Earthquake of March 2011. To further promote the use of renewable energy, the Japanese government launched a restructured FIT program in July 2012, which stipulates that local utilities are required to purchase 100% of the power generated from solar installations of more than 10 kilowatts (kW) for a period of 20 years. Certainly a Mega Solar Array, Solar arrays are coming on leaps and bounds in efficiency but still developing fast. Thanks for the comment Peter. I largely agree that there are many applications for solar and, like you, I expect it to continue to grow in usage. You mentioned "I was asking the wrong questions" but I’m not really asking a question in this case but attempting to answering one: Why isn’t it practical to use on-site solar power as the primary source in data centers? Generally, I’m not a big fan of on-site primary power generation in general at datacenters for the much the same reason I argue that cloud computing over on-premise computing is a better decision both economically and environmentally. Cloud computing replaces many very small deployments with infrastructure at scale with deep R&D investment behind it and high quality operational practices. I suspect the same thing is true with power. Rather than every datacenter operator getting into the power generation business and run a small generation plant onsite, buy from a skilled operator where power generation is all they do and their entire R&D and operational focus. Clearly on-site backup power generation makes good sense and is very common. On-site augmentation to grid power using technologies such as solar could make sense as well but it’ll executed upon the way you describe above: on-site power will be sold to the grid and primary power will be purchased from the grid. Mostly because solar doesn’t produce 24×7 and a single plant at a single location is difficult to achieve the availability goals through faults, services, operator mistakes, etc. I 100% agree with you that low-power density applications are often excellent targets for solar energy and the economics work in many juristictions. Interesting article, but I think you’re asking the wrong question. If the question is, "Can we power a datacenter exclusively from on-side solar power?" the answer is "Of course not." As you observe, the power density of a datacenter is too high, even if you could somehow achieve 100% conversion efficiency. But that’s the wrong question. But if the question is, "Given that we have this gigantic flat roof, does it make sense to cover it with solar panels?" then the answer is more interesting. Even if the solar array can only generate less than 1% of the onsite usage, it can still make economic sense. It depends on the installation cost, expected output, and avoided cost of electricity (or feed-in tariff, as appropriate). In a datacenter the hurdle is likely to be higher than in a residence or office building: the building may not be well-sited for solar generation, and chances are they’re buying really cheap power. On the other hand, the power company may be willing to provide credit if it helps them reach a renewable power mandate. On the other hand, there are places where the purely economic argument for installing solar panels already works, even in the absence of tax credits or other incentives. If you can get $0.20/kWh (i.e. by offsetting retail usage) and live in a sunny locale, solar installations pay for themselves pretty effectively at today’s prices of around $3/watt of installed capacity. There are also places where the available solar capacity is far above the onsite usage (think parking lots), and many residences can easily get to net-positive generation with current technology. So I do think that we will eventually get to a place where datacenters will get a substantial amount of their power from solar. But it won’t be from on-site generation. It will be from lots of off-site (possibly small) installations selling power to the grid, and the resulting mix of generation capacity being what ultimately gets sold to the datacenter.